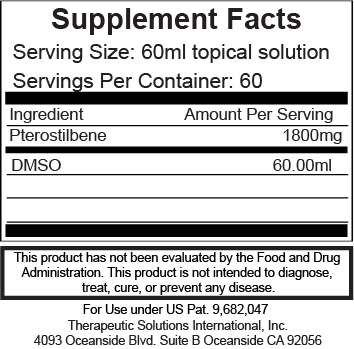 DermalStilbene is a topical form of pterostilbene. 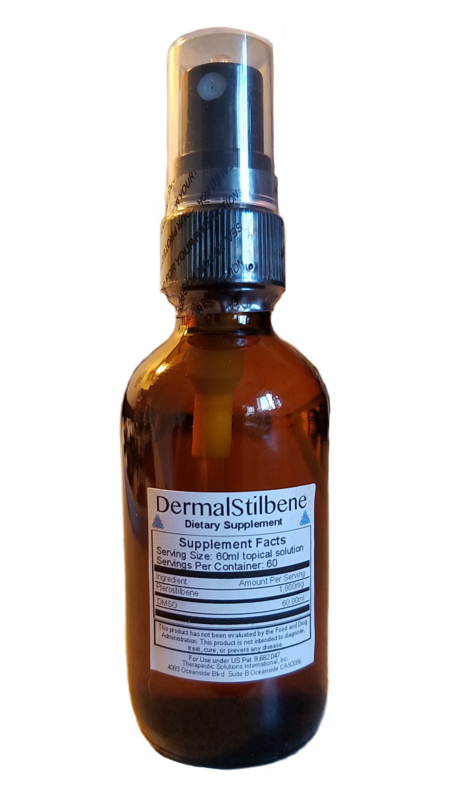 DermalStilbene is delivered via spray application onto skin. This product contains DMSO( Dimethyl Sulfoxide) as a carrier and caution should be used not to spray product near eyes. Each 60ml bottle contains 300 applications of spray. When using this product you may notice some of the following; as spray lands on your skin you may feel heat sensation, and as the mist settles on your skin you may notice tingling or itching, this is all normal and will usually subside within 5 -10 minutes of use, although it can last longer.